Welcome to Digital Digest! 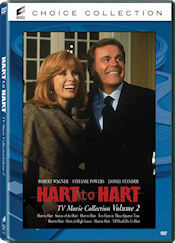 We're here with yet another light news week, but we do have reviews of Hart to Hart: TV Movie Collection - Volume 1 and Hart to Hart: TV Movie Collection - Volume 2. Let's get started! 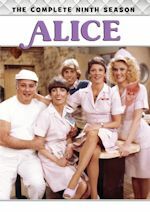 This week, the website TVShowsOnDVD.com uncovered a series of listing on Amazon.com for what appears to be an upcoming release of Alice - The Complete Third Season. The information on the preorder listings show a release date on February 12, but there isn't actually anything that you can preorder. Of course, this has been a Warner Archive title in the past (and we would expect it to remain that way for all releases), so hopefully we'll have something solid on a release soon. We should add that we have had some indications that would seem to confirm a release, so we'll let you know when we know more! Tuesday (February 5) has just one real release with Lionsgate's release of Cougar Town - The Complete Third Season. Additionally, they have re-releases of the previously released season 1 and season 2 of the series. Anybody who knows about detective series from the '80s knows these words: "This is my boss Jonathan Hart, a self-made millionaire. He’s quite a guy. This is Mrs. H, she’s gorgeous. She’s one lady who knows how to take care of herself. By the way my name is Max; I take care of both of them which ain’t easy ‘cause when they met, it was murder." Well, without "beating around the bush," this was exactly how the classic series Hart to Hart began each episode. 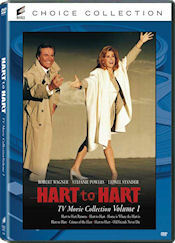 For five seasons, running on ABC, the series starred Robert Wagner and Stefanie Powers as Jonathan and Jennifer Hart, a couple who just so happened to be loaded, solving mysteries along with help from their own "help" Max (Lionel Stander). 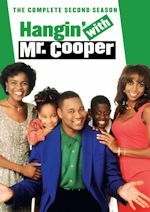 But after the series ended, it was revived in a series of mystery movies between 1993 and 1996. 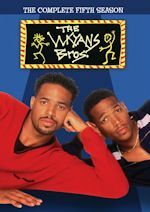 Some of these aired on broadcast television, while others aired on cable. Now, Sony has released all eight of these movies, available in two separate collections. "Hart to Hart Returns" (1:30:29) - In this first (of eight) reunion movies, Jennifer Hart is interested in buying an aircraft company from a friend. Of course, nothing is ever easy for her or Jonathan Hart, and in an effort from others to prevent the takeover, they find themselves in the middle of a murder investigation involving some corrupt defense contractors. Mike Conners and Ken Howard guest star in this installment. "Home is Where the Hart Is" (1:32:13) - After a friend and mentor of Jennifer's has suddenly dies, she and Jonathan is headed back to the town where she once lived and worked as a reporter. But upon their arrival, they discover that there are some things that are just not right back in Kingman's, and also they also discover some things that may lead to their demise if not solved immediately. This installment features Maureen O'Sullivan, Howard Keel, and Roddy McDowall. "Crimes of the Hart" (1:32:30) - Jennifer wrote a play in college, and now, she and Jonathan are headed to New York to see the play produced on Broadway. However, just like anything else in the life of the Harts, something goes wrong upon arrival as a stagehand is murdered, and everybody... including Jonathan... is a suspect. Stars in this installment include Richard Belzer, Audra Lindley, and Lew Ayres. "Old Friends Never Die" (1:29:43) - Everything that is going on in the life of Jonathan and Jennifer is just like something out of a murder-mystery novel, which leads them to wonder if it really is a murder-mystery novel, or if there is an actual plot for somebody to be killed. In typical Hart to Hart fashion, you can probably guess which one it is... but why? 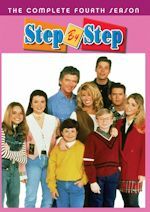 In this installment, you'll see David Leisure, James Avery, Paul Williams, Vicki Lawrence, Fred Willard, and Mike Farrell. "Secrets of the Hart" (1:29:27) - In San Francisco, Jennifer and Jonathan are on the verge of meeting Jonathan's long lost relatives and meeting the family he never knew. But a pleasant meeting with his family may not be what is in the cards, especially if the family wants something that may put Jonathan and Jennifer in danger. This is the last film to feature Lionel Stander in the role as Max, and also features stars including Marion Ross, Jason Bateman, Wendy Mallick, and a special appearance by Pat Morita. "Two Harts in Three-Quarter Time" (1:32:37) - Jonathan and Jennifer grieve the loss of their beloved friend Max (actor Lionel Stander died just before this movie), and head to Montreal for the reading of his will. But in collecting what is left for them in the will, they end up in the middle of a mystery that involves kidnapping and murder... while they're on the hunt for a stolen clock. This installment features Joan Collins as Lady Camille. "Harts in High Season" (1:32:54) - Jennifer and Jonathan take a trip to the Australian outback to purchase a wildlife reserve from a former love interest of Jennifer's (played by James Brolin). But as it turns out, he hasn't exactly lost interest in Jennifer and will do anything to get back into her life... even if it means setting Jonathan up to fall in a trap that will be hard to get out of. There is nothing particularly interesting about the packaging. Of course, we received the individual movies, not the releases as packaged in on set, but the cover art for these movies includes a publicity photo for each movie, with an episode snapshot on the rear, along with a description of the movie. However, the "bundled" movies may come in different packaging. We don't know for certain. Like most Sony MOD releases, the artwork on the discs is just the movie title on a white background. There are no menus on these DVDs at all, but chapters are placed throughout each disc. The video and audio quality on these DVDs is a bit disappointing. Of course, these movies were made 20 years ago on a presumably low budget (after all, some even aired on The Family Channel), so I wasn't really expecting a whole lot, but at times these just looks like something made in the '80s with '90s clothes. The audio, though, seems to be without any major issues. There are no subtitles or closed-captioning. There are no special features on any of these DVDs. All in all, I can't say that I'm particularly left "wowed" by these releases. First, the quality of the Sony MOD product still leaves a lot to be desired, but even getting past that, these movies were honestly not as enjoyable as the original series. I've seen a lot of reunion movies over the years that have remained true to the original series, but a lot of these just felt like Robert Wagner and Stefanie Powers just trying to have a little bit of fun. And it gets even less enjoyable in the three movies that were made after Lionel Stander died. It also doesn't help that the MSRP for these DVDs is insanely high for what you are getting. Make no mistake though: I would certainly love to see Sony get back on the ball on releasing the season sets of the original series. But in the meantime, if these movies are all we're going to get (and bear in mind some of these were released in 2010), I think even many fans will be disappointed. Who to Follow: Brian Scully (Twitter), "Currently, Family Guy writer. Formerly, The Simpsons writer. Neither currently nor formerly, an Astronaut." Claim to Fame: His Twitter tagline says it all, but one must be careful before they associate his name with The Simpsons. The Scully that most people associate with that series is actually his brother Mike Scully, who was show runner and executive producer for The Simpsons (and still works on that series to this day). Brian, on the other hand, has a more "storied" history having written for both Family Guy, The Simpsons, and a host of other sitcoms that have been largely forgetten (including his "roots" of writing for the '80s Out of This World). Now, he is serving as a writer and co-executive producer for Family Guy. Why You Should Follow Him: Normally, we wouldn't even feature an animated series writer here, but Scully is worth following. First, he does have a rather interesting back story as a writer. Who knew that somebody who worked on Out of This World (and apparently even survived off of a residual check from reruns for a year after it ended) would end up on Family Guy over two decades later? Besides that, he is rather active on Twitter, and it should come as no surprise that since he is a comedy writer, his Tweets are full of what you'd expect: comedy. Though it should be stated upfront that his Tweets aren't always necessarily politically correct... but consider the series that he writes for.